Featured in Apple's "New Apps We Love" in 2018, FamilyAlbum helps you share, save, and remember the special moments in your child's life. By making sharing your child's photos and videos simple, FamilyAlbum brings families together as the perfect partner for busy moms and dads. In addition, the app keeps your memories organized and creates photo and video collages to make look backs even more special. Upload as many photos and videos as you want. FamilyAlbum stores your memories for free, so upload all your newborn and baby photos. The app keeps your memories safe, allowing you to recover them even if your phone is lost or damaged. Decide who gets to see your family's photo albums! Invite family and friends, then start uploading photos and videos to share them immediately. The family is notified when new memories are added. They can also leave comments on each memory, creating conversation. Sort your photos and videos automatically by month based on the date they were taken. The app tells you how old your children are in each memory. Updating is simple, too. The app remembers everything you upload and makes sure you don't upload the same thing twice. Enjoy short video collages that show 1-second clips highlighting the best photos and videos you have shared. These movies are created automatically every three months. Make life easy with monthly-generated photo books. Add your own personal touch by including your favorite photos. Purchase the ones you love or create more from scratch! With FamilyAlbum Premium, you'll be able to share the following features with your family. Your first month of Premium is free! "Great way to see how your baby changes through the months and years"
"Grandmas love the updates and being able to see all pics in one place"
"I love the 1s Movies and albums they make for you :)"
FamilyAlbum Premium costs $4.99 USD/month (starting from its first day of use). If you purchase Premium, payment will be charged to your iTunes account. Your subscription will automatically renew starting one month after you register, unless automatical renewal is disabled at least 24 hours before your subscription ends. If automatic renewal is enabled, your iTunes account will be charged within 24 hours before your subscription ends. 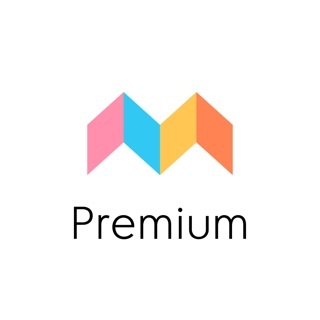 If you purchase Premium during your free trial period, you will lose any unused portion of your free trial period. Prices are in US dollars, may vary in countries other than the US and are subject to change without notice. ・iOS 12 - Open the App Store. Tap your profile icon at the top right of the screen, then tap Subscriptions in the Account menu. ・iOS 11 or Above - Open the App Store. Tap your profile icon at the top right of the screen. Tap your Apple ID on the Account screen, then tap Register on the Account screen. ・iOS 10 or Below - Open the App Store. Scroll to the bottom of the "Featured" Tab. Tap Apple ID. Tap View Apple ID in the pop-up window that appears. Enter your login info, then tap Register on the Account screen. You can confirm your current renewal date and/or cancel automatic renewal from these menus. *Please note that automatic renewal for Premium cannot be canceled from within the FamilyAlbum app. If you have any questions or feedback, please contact us at support@family-album.com. Stay tuned for more improvements and thank you for using FamilyAlbum! I love this app as it’s a closed group controlled by the parents. Unlike one reviewer I do wish it was a little more like social media with something to allow us to see which pictures are seen by whom and their favorites. The latter is important because it’d be nice to know which pictures they like so that I can get them printed on canvas as gifts or other gifts as a surprise. Also instead of “other” for family invited it’s be nice to be able to write in their relations as some of us have nontraditional families. On that note when seeing who’s viewed the album it’d be nice to customize the circles. I have step parents so in our family there are three sets of grandparents and all I see is “Gra”. Grandpa? Grandma? Which ones? Total my child has 3 grandfathers and 3 grandmothers so “Gra” isn’t specific enough. In the comments their full title comes up. All and all I love the app including the little movie clips generated every few months although I wish they could be redone. I hadn’t added my pregnancy pictures or some early baby pics when my movie was generated so it’s missing those. Also a plus is the browser version. Great grandparents that aren’t too phone savvy use this option. EDIT: another request - allow adding captions to the pictures once selected to upload. Waiting to “comment” due to processing can take time & then sometimes I forget then having people asking me for info. We will take your feedback into consideration when updating the app functionality in the future. Thank you very much for your valuable suggestions. I’m loving this app so far. I love how it makes videos every few months that highlight certain pictures. I personally like that it doesn’t have the typical social media feel since I downloaded this app to get away from social media. It’s wonderful to not worry about which family members have been sent a picture or not, it’s all right there! I wish the pictures would stay where the are are not rotate through every time you open the app. Would also be nice to choose your own photo that stays at the top of the month. I don’t find it frustrating finding which pictures to upload since I don’t wait to load a bunch at one time. I like how you can see the relationship to the people who are commenting. Would be nice to have other family titles instead of “other”. Overall a great app and I’m super happy with it! I hope it stays away from social media feel because I love how it is now. I was looking for a way to share photos of our newborn with the entire family- but let’s be honest who really has time to be texting the same picture over 10 times because no one likes being part of a group message? And not to mention EVERYONE asking for new pictures all the time!! This app makes it so easy to just upload your pictures and everyone gets the notification there’s new photos. I love how people can comment on them and even add their own pictures if you allow it! Such an awesome app I’m so happy it exists, we aren’t social media users and I didn’t want my baby to have a social media footprint before they are old enough to make the decision on their own. Thank you for making this app!!!!! Monthly 1s Movies, Upload from your PC, etc.